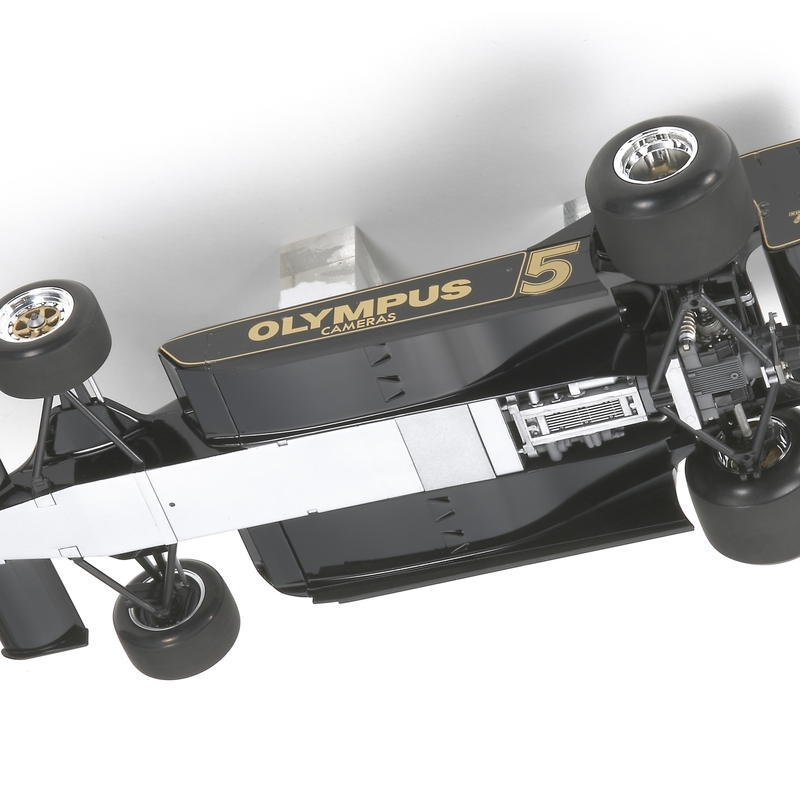 1/20 scale plastic assembly model kit of the Lotus type 79. 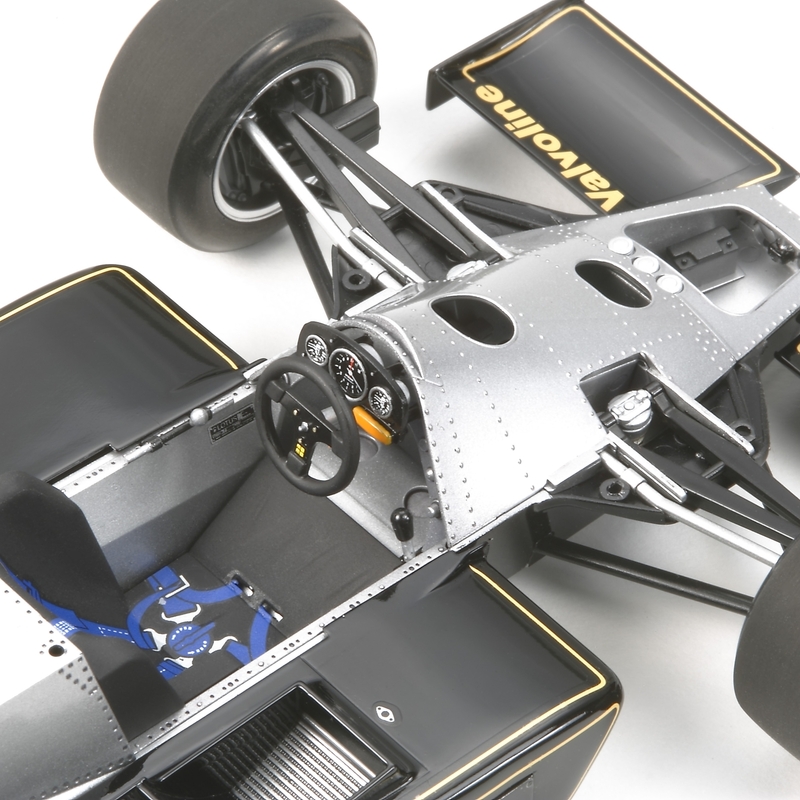 The front and rear upper cowls can be removed after assembly to view the engine and cockpit area. 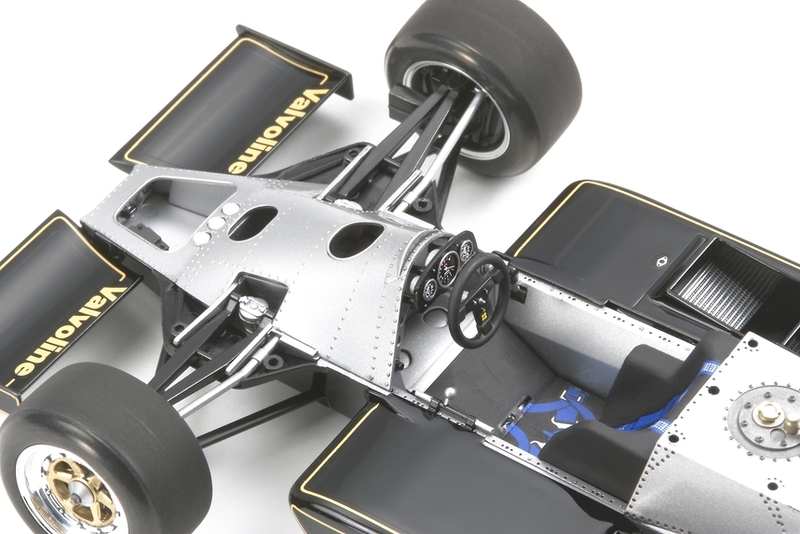 The monocoque chassis, suspension, and engine have been precisely reproduced. 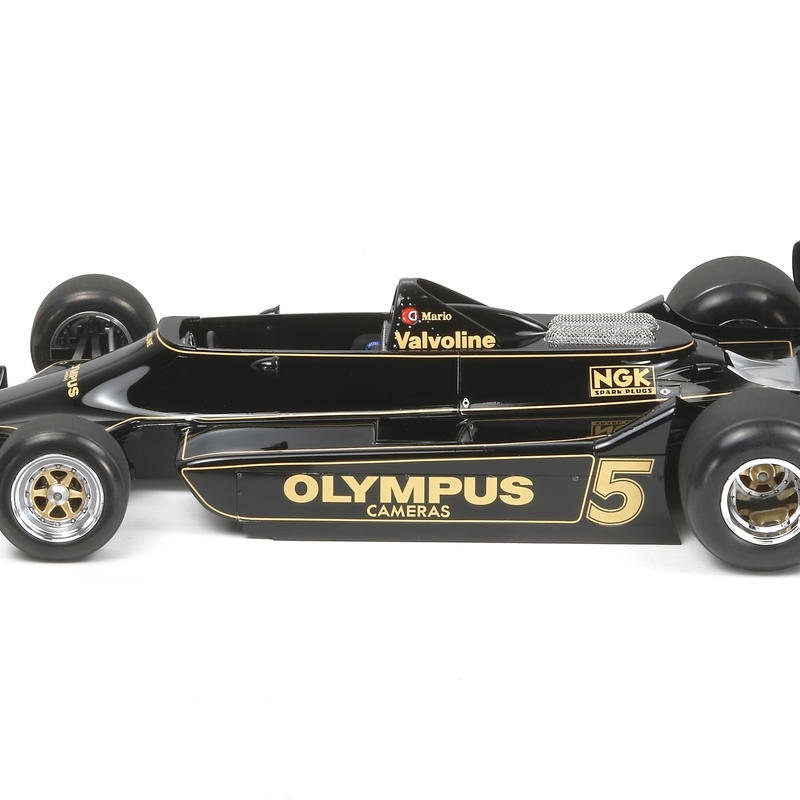 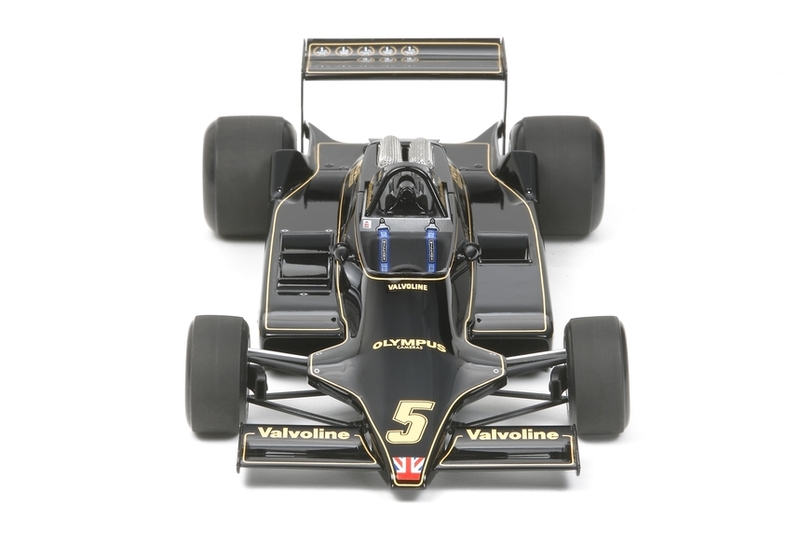 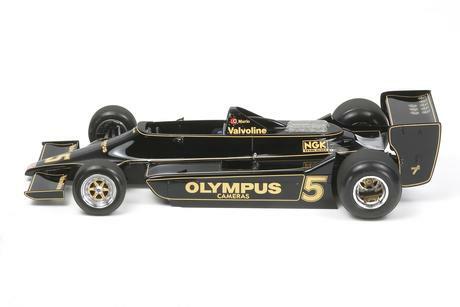 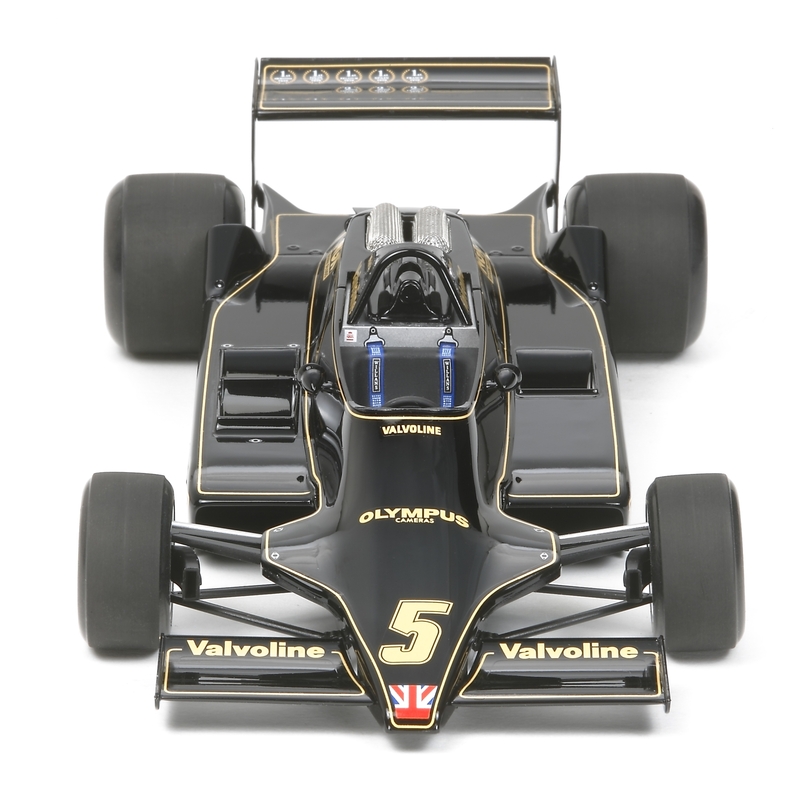 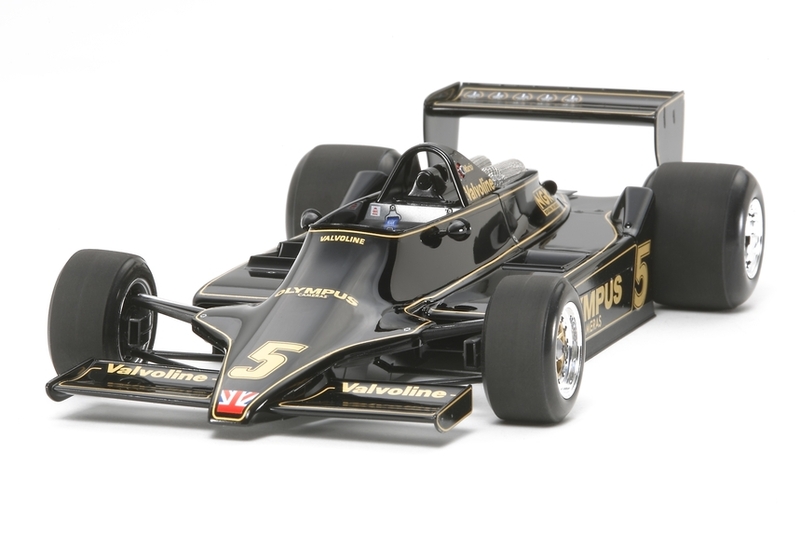 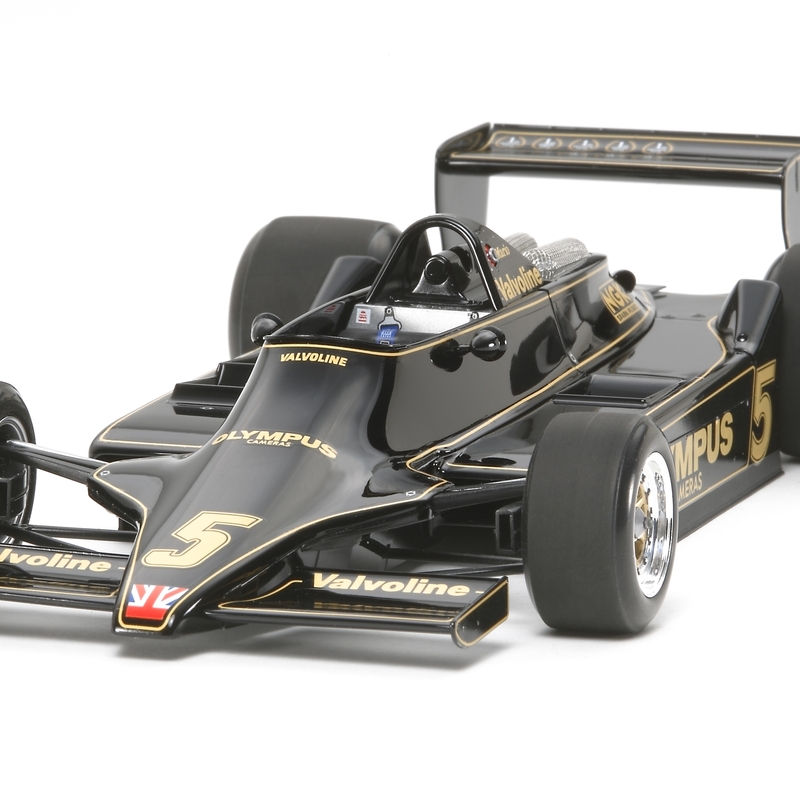 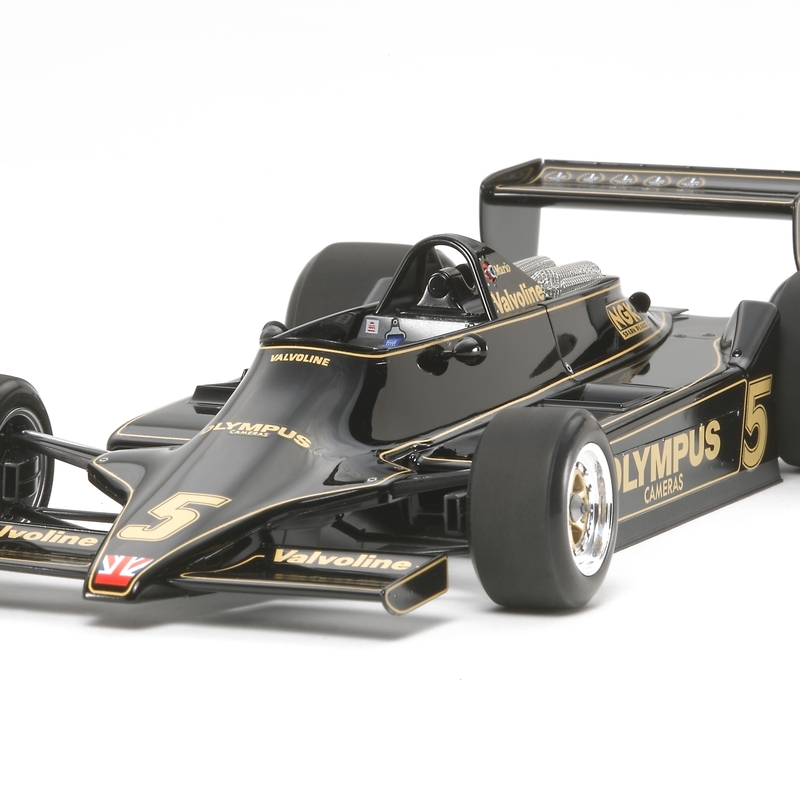 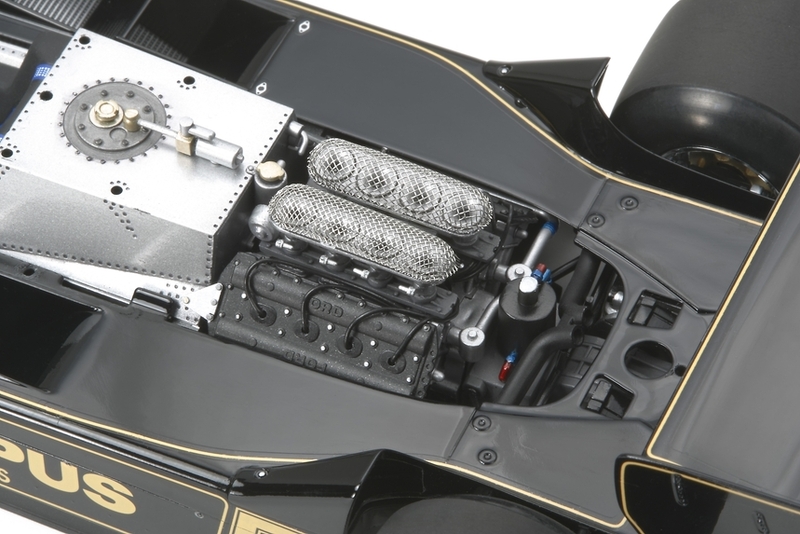 Top quality decals to depict the Lotus seen at both British and German GP"s, which did not feature JPS markings, are included. 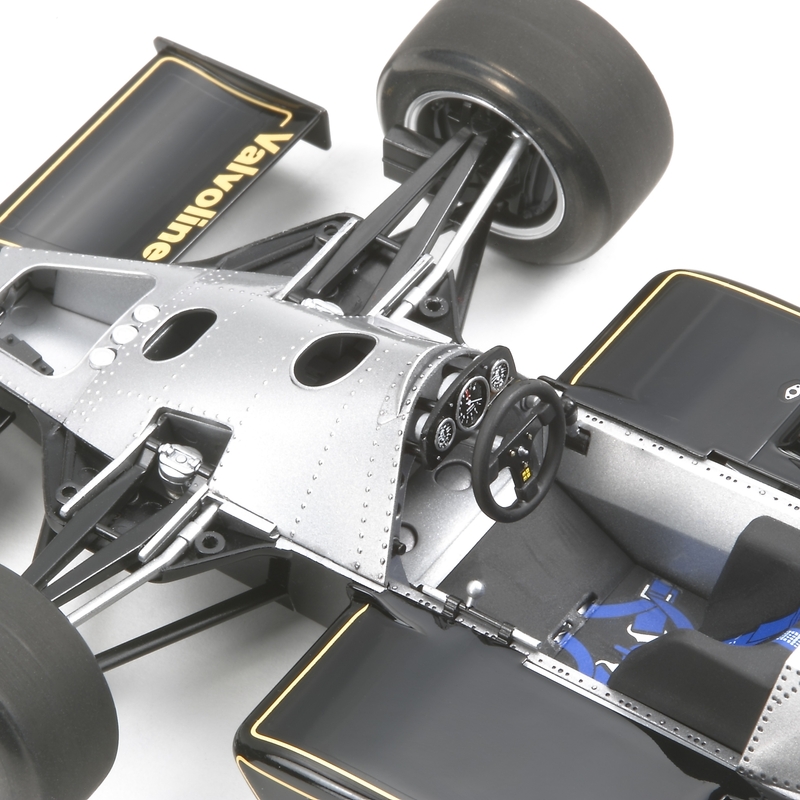 Newly designed tires and metal funnel covers included. 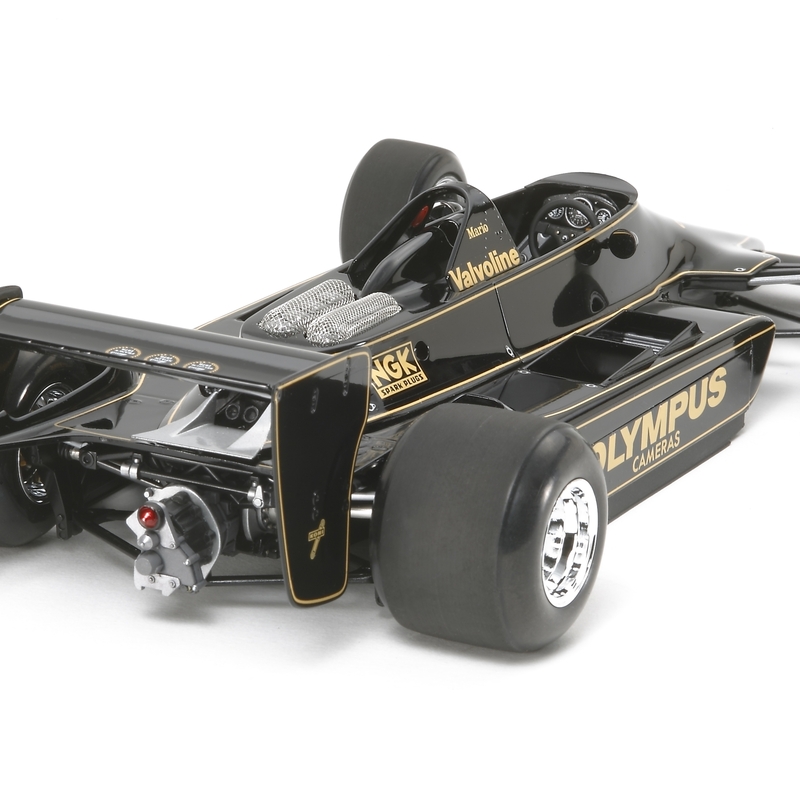 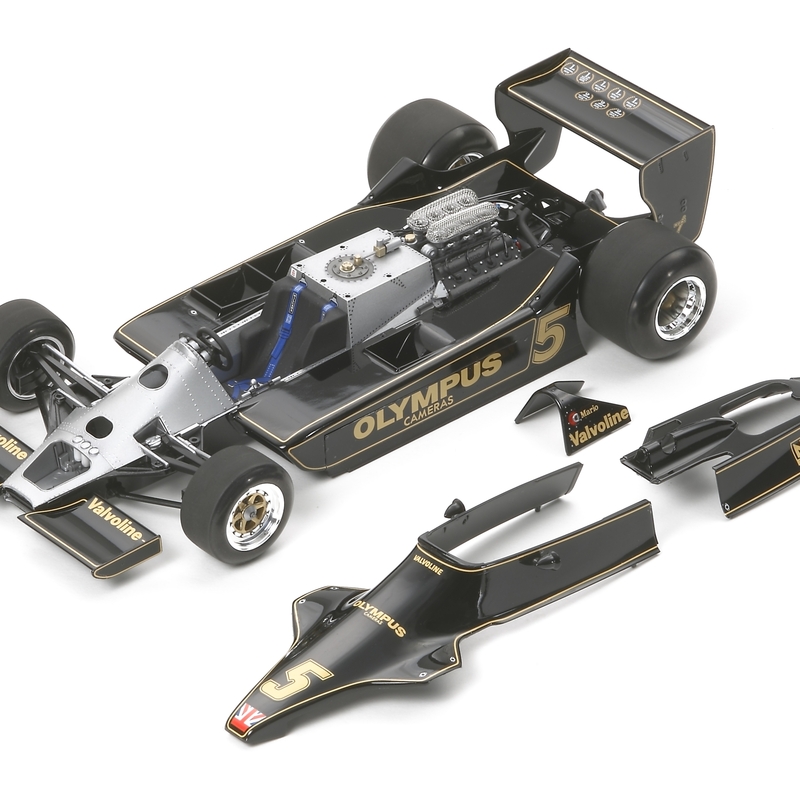 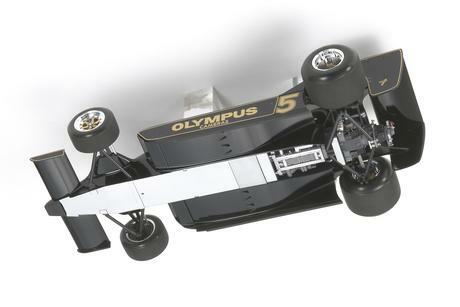 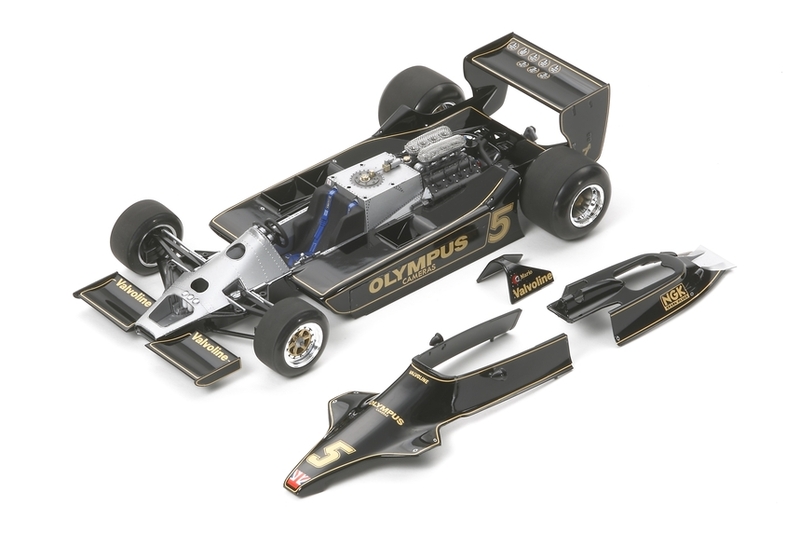 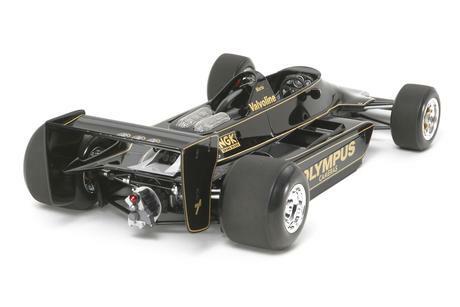 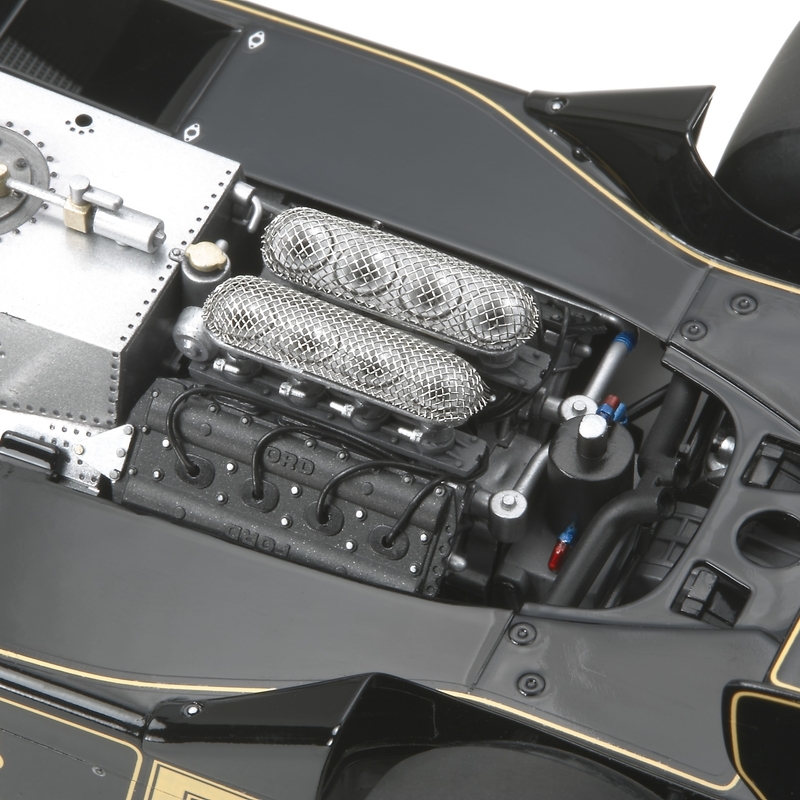 Add further detail to your model with Item 12635 1/20 Lotus Type 79 1978 Photo-Etched Parts Set. For more information please see the next page.